Avant Garde Roofing is set up to take on a variety of domestic flat roofing challenges from repairs to replacement. We have many years experience and flat roofing accreditations to correctly advise on the best solution for the longevity of your roof. Normally domestic flat roofs are covered with felt and this is a method which has been used for years. Other domestic flat roofs also have a covering of gravel or stone chippings to shield the felt from the sun. Over time the flat roofing felt is exposed to the sun and cold weather conditions, this makes the felt brittle and cracks appear. We feel that traditional flat roof coverings have a very short unpredictable lifespan and often need frequent repairs or replacement. 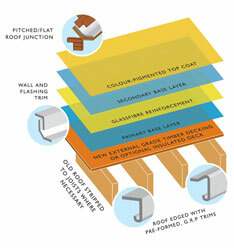 This is why we offer products such like GRP / Fibreglass Flat Roofing and Kemper Waterproof Coatings. As well as a range of domestic projects we also cater for commercial flat roofing projects of all sizes. 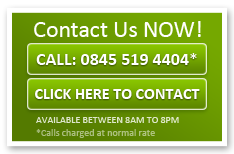 We offer a service for competent builders; this is what we call our “Cover Only” service. This involves the builder carrying out all the structural work including the boarding and insulation, we will then do the entire technical waterproofing layer and flashing and the customer gets same guarantee. Please consult us before building starts as we can offer time and money saving advice.